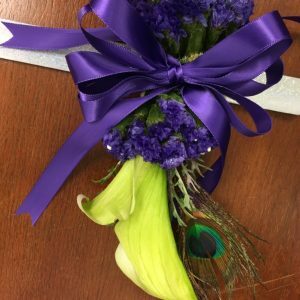 It’s prom season and what even better are beautiful elongated corsages made with calla lilies purchased from my local Tom Thumb grocery store. 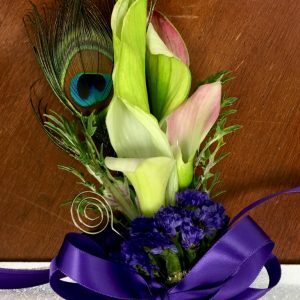 Lilies are in season which also make these corsages budget friendly. 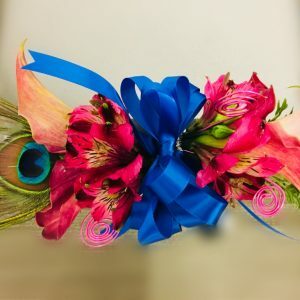 This is my second time making corsages since most of my creations are flower arrangements. 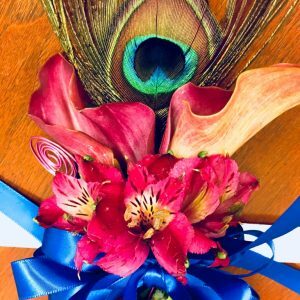 I created these 2 corsages for a co-worker who had requested some special corsages for her son’s prom date and military ball date. 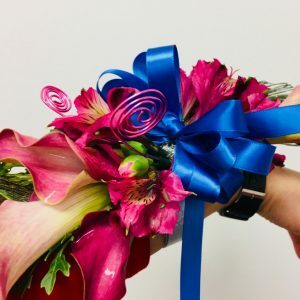 Since this was my second time making corsages, there are bound to be some complications. 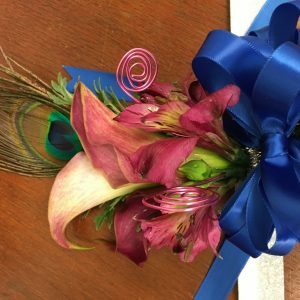 I had gotten a little worried when both corsages came out a little longer in length than I had envisioned. 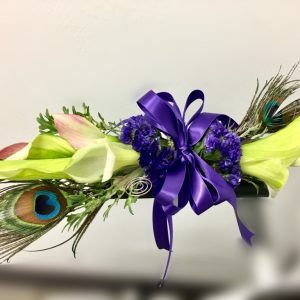 I originally had imagined 6-8 inches but both corsages came to about 10-12″ in length. 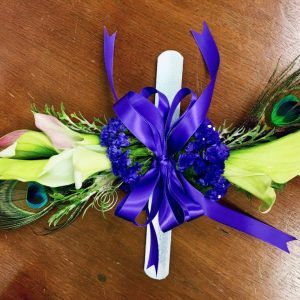 But even at 10-12″ long, these corsages still manage to stay put onto the corsage slap bracelet holder. 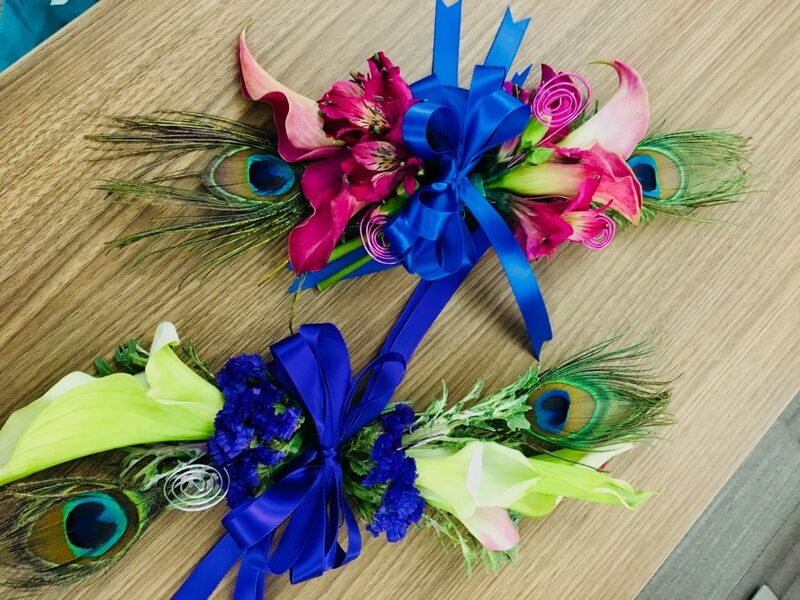 It all worked out in the end and both corsages were well loved by 2 special young ladies.